We offer an extended range of PLASTIC LINED STEEL PIPING SYSTEMS in the following plastics: PTFE, PP, PVDF, HDPE. 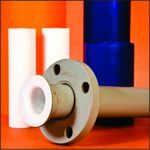 Our KEYLON® PTFE range is typically available up to 400mm (16") sizes, although larger components are also available on request. Combining the strength of a mild steel, stainless steel or ductile iron with a chemically inert plastic liner. Our lined products will handle the most corrosive fluids. 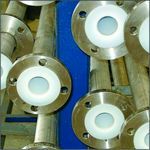 The high quality standard of our products are maintained by using only virgin polymers and ensuring the ultimate performance in acid resistant lined systems at elevated or cyclical temperatures. 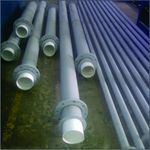 Our lined pipe comprises a seamless plastic liner. Special technology is used to reduce permeation. 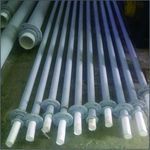 Reliable, corrosion resistant piping products for the chemical, petrochemical, pharmaceutical, power, refining, pulp and paper, water-treatment and metal processing industries. Spools can be supplied in customer specified lengths up to 6-metres. This product is shipped in compliance with applicable laws and regulations regarding classification, packaging, shipping & labeling. Vacuum: 1" through 8" (25NB - 200NB) pipe has a full vacuum rating to 450°F (232°C). Pipe sizes 10", 12" and above (250NB +) is available in either "Full Vacuum" (up to 450°F /232°C) or "Non-Vacuum" styles. 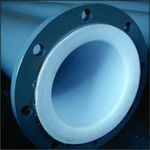 End protectors are used to protect the plastic faces for flanged pipe. End caps are used to protect the plastic liner for plain end pipe. End protectors should stay in place until immediately prior to installation. The sealing surface of the liner is free of defects that would impair sealing effectiveness. All parts pass visual inspection.